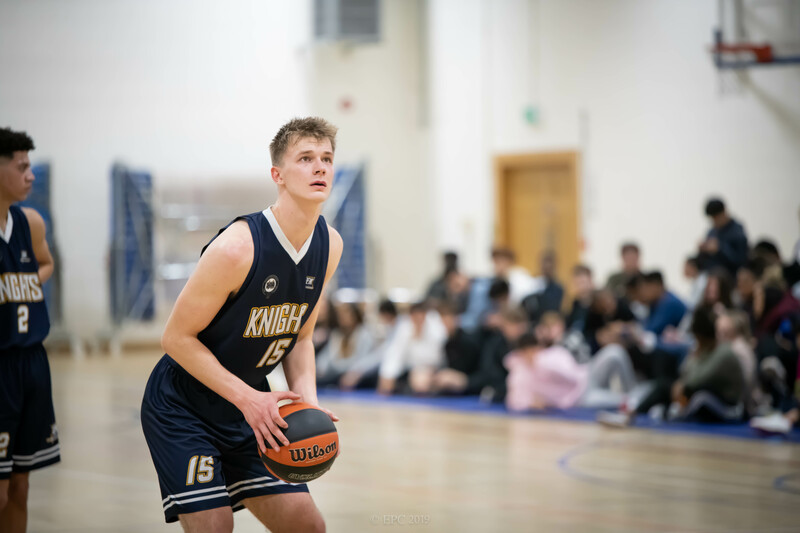 Queen Ethelburga’s continued their winning form with a 78-68 win over a visiting Carmel College Wednesday in the ABL North. The visitors led at the close of the first behind some fantastic outside shooting by George Ball and Ethan Carter-Shephard. The hosts somewhat found their stride in the second quarter behind a determination to get to the basket by Jedaiah Alexander and incredible effort from Will Jeffels off the bench. The remaining quarters would go back and forth, with both teams competing throughout a hard fought second half the final score reading 78-68 to the hosts. “It was absolutely fantastic to see so many students come out and support our players in their last home ABL game of the season” said coach Josh Metcalf. “Joe, Jed, Bertram, and William have been incredible ambassadors for our team throughout the school and to see 100 or so people turn out to thank them in their last home game is a testament to everything they have given us over these past years”. Carmel were led by Ball and Shepherd who finished with 22 points and 16 points respectively. Captain Joe Barrett top scored for the hosts, finishing with 23 points and he was backed up by another strong performance from Elijah Walsh who added 19 points of his own. QE will travel to Cheshire College on Wednesday to replay a previously postponed fixture while Carmel travel to local rivals Archbishop Beck in what promises to be an exciting fixture.